1) No history of war in ancient times. The Mongols who eventually became the Mughals came to India via Afghanistan. 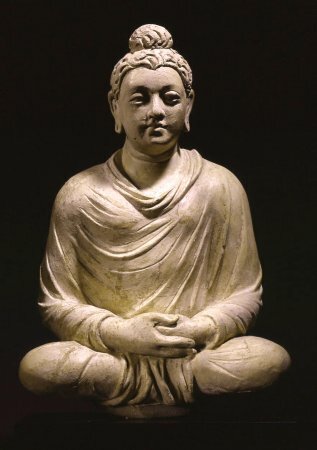 India exported Buddhism and imported silk mainly during this era. In between, the Himalayas stood to give them a distinct culture and boundary. 2) Post 1947- Indo Chinese relationships were initially fine as they both freed themselves from colonialism. This however steadily disintegrated following border troubles leading to the 1962 war which led to loss of territory to China and a traumatic setback for Indian geo-political ambitions in Asia. 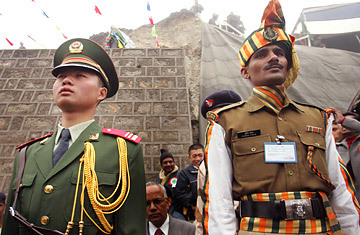 The conflict defines Indian mistrust of Chinese government till today and was responsible for Indo-China skirmishes in the 1980’s. 3) India’s support for TIbet and Dalai Lama and Chinese support for Pakistan complicates any sign of allying themselves too closely. Both their respective allies have costs more than benefits for China and India- yet the traditional real politik continues. This extends to other relationships like Vietnam and Burma also. 4) Hardly any people contact. Indian and Chinese students are much more likely to meet in the United States than in each other countries. Trade tends to be import of cheap Chinese goods and export of mineral sources. Almost all higher value trade ends up being facilitated by the Western or third party companies. 5) The corruption prone Indian democracy is more similar to the controlled Chinese communism than Western countries realize. The press in India is not that free from corporate or political pressures and China does have positive internal checks and balances for safeguarding it’s administration and governance. 6) Indian and Chinese attitudes to diplomacy and negotiation are markedly different- with India oscillating between periods of Western/Russian neo- colonialism to bouts of skepticism while China continues a cautious yet increasingly belligerent focus on it’s own interests. 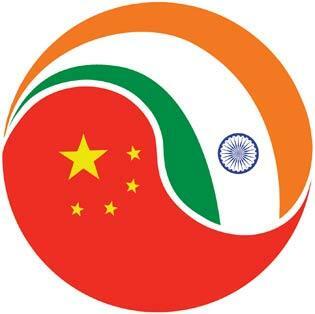 Due to linguistic reasons India is more susceptible to Western influence than the Chinese. Looking forward, as the purchasing power of the huge demographics of both countries increases they will end up with more focus of the World- and it would be tragic if they fall to the ancient roman rule of Divide and Conquer- to squander away any benefits they can get from a collective bargaining position. Indeed if China and India can find a realistic way to end their differences and be allies they will find that this relationship can be the most profitable to each other in terms of return on diplomatic time and effort. Enabling direct people to people contact and more fraternal ties in education and socio-cultural arts could be an interesting low risk first step towards such relationships.